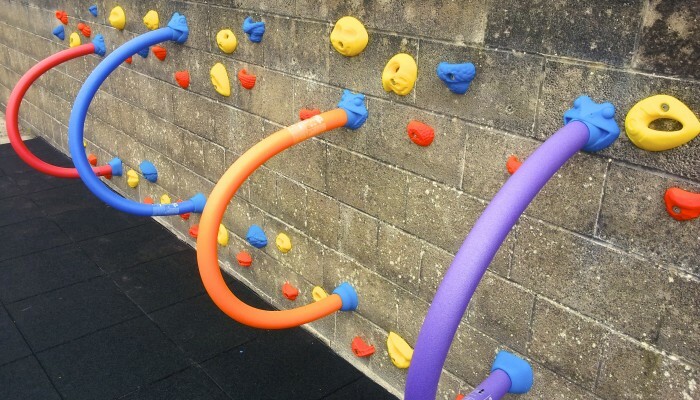 Traverse walls for schools provide a great climbing activity for children, thanks to them being simple to supervise as well as adding a splash of colour to a playground area. 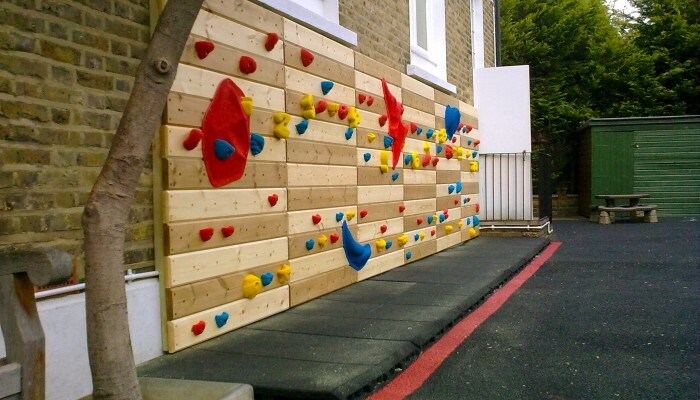 An existing wall, such as the outside of a building, can be transformed into a traverse wall for low level climbing. 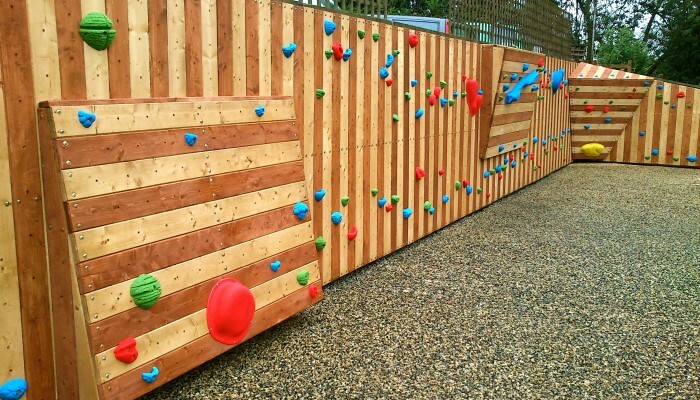 The reason this type of climbing wall is so easy to manage, making it perfect for younger children especially, is that the objective is to ‘traverse’ the wall horizontally rather than the traditional climbing wall which is designed to be climbed vertically. 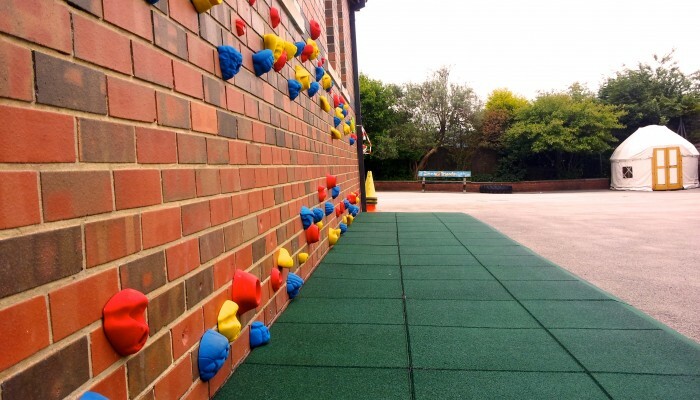 Traverse walls for schools ensure that whoever is climbing is only ever a few feet off the ground, and as such, there is no need for any harnesses or ropes – just basic safety matting! 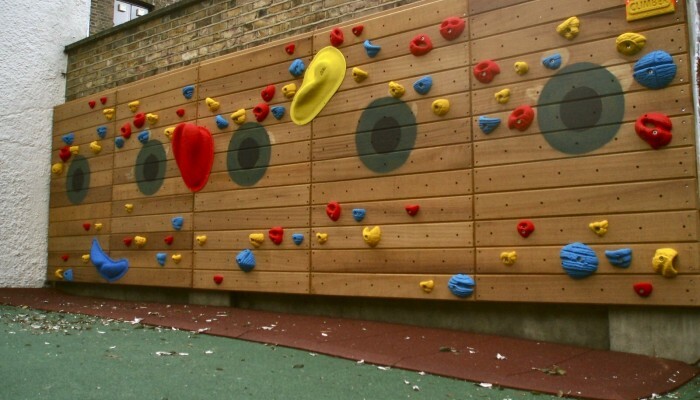 Quick to install and hard wearing, our traverse walls for schools (and family homes!) are extremely popular. We have installed nearly fifty of them all around the UK. From a simple maintenance-free installation onto brick, through to a our attractive timber-based system, there is something for every situation – so long as you have a wall! 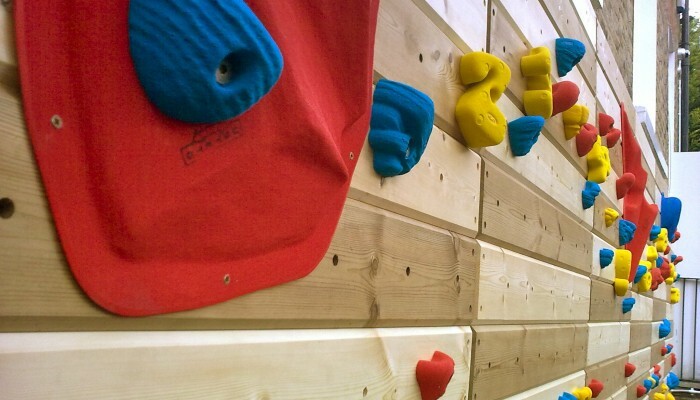 If you don’t have any spare wall space, take a look at our Freestanding Climbing Walls, which can be installed into any open area.